Each pack contain 8 random cards from this set. The 2018-19 NBA season kicks off with Hoops! 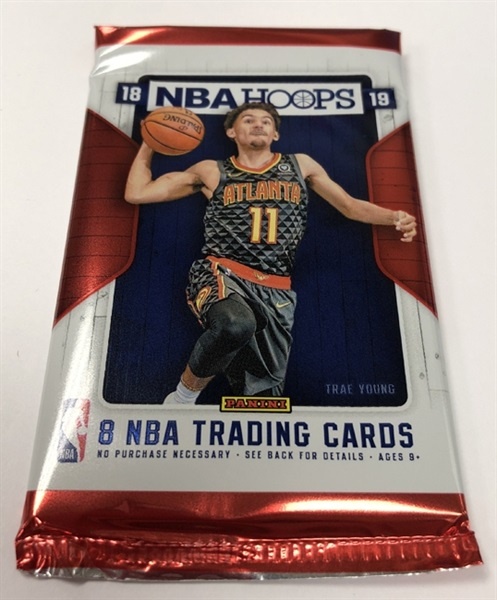 Look for the first trading cards of the stars from the 2018-19 NBA rookie class in their NBA uniforms, including Deandre Ayton, Marvin Bagley III, Luka Doncic, Trae Young and more!